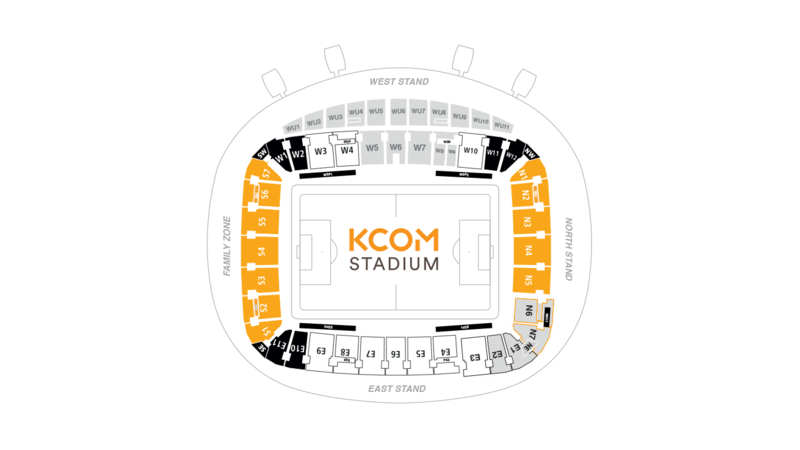 Fans arriving in the city centre are encouraged to walk to the stadium, and there is a well-lit, signposted pedestrian route, and it takes about half an hour from the centre of Hull. A link between the stadium and Londesborough Street/Argyle Street gives easy access to and from the city centre by foot. There are also sign-posted pedestrian routes from the bus and railway stations, Pryme Street car park and from Rawling Way. Hull Paragon Station is the closest station to the KCOM Stadium and is operated by TransPennine Express. It is a 20-minute walk from the stadium along a sign-posted route that uses Londesborough Street. Train services along with Northern, Hull Trains and Virgin Trains East Coast. Buses to the stadium can be found at Hull Paragon Interchange. You can take bus route 350 to Anlaby Road in roughly 20 minutes, leaving a short walk to the stadium. There are excellent EYMS and Stagecoach bus services from around the city. Most routes terminate in the city centre bus station, off Ferensway, leaving a short and convenient 10-minute walk from the stadium using the sign-posted routes. From South: Take the M1 to junction 21A. Then take the A46 exit to Braunstone Frith/Kirby Muxloe/B5380. Keep right at the fork. Follow signs for A46 Newark then merge on to the A46. Follow it to just past Lincoln and at the roundabout take the first exit for Humber Bridge. At the third roundabout, about 20 miles on to the A15 take the third exit for the M180/Humber Bridge. Then take the M180 to junction 5 and follow the sign for Hull/Hull Airport. From North: Take the A1079 towards Beverley then follow signs for the Humber Bridge and the A164. Take the A63 sign-posted Hull City Centre. Continue on the A63 under the Humber Bridge. The road continues into the A63 Clive Sullivan Way. Continue along Clive Sullivan Way. Turn on to the slip road just before the flyover, sign-posted ‘Local Traffic/Infirmary’. From West: Approach Hull from the M62 leading on to the A63. You follow this dual-carriageway under the Humber Bridge and through to the A63 ‘Clive Sullivan Way’. You will approach a flyover, directly before this stay left on to the slip road sign-posted ‘Infirmary’ and ‘KC Stadium’. The Walton Street car park has 1100 parking spaces. It costs £5 and is free for Blue Badge Holders. It is closed for a period every October, coinciding with the annual Hull Fair. There is a park-and-ride service with 650 free parking spaces at Priory Park, with a bus to the city centre dropping off and picking up outside the stadium. The trip takes around 15 minutes and return tickets are priced at £2.50. 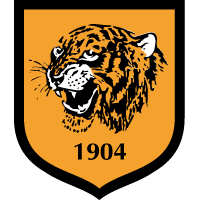 Hull City was founded in 1905 and since 2002, they have played their matches at the KCOM Stadium, which they share with rugby league side Hull FC. The all-seater bowl-shaped venue took 14 months to complete and was opened with a friendly against Sunderland, midfielder Steve Melton scoring the first goal at the ground as Hull sealed a 1-0 victory. The complex also has a 1,500 seater indoor arena, a skate park, all-weather pitches, health club and library, and is set amongst 34 acres of parkland.